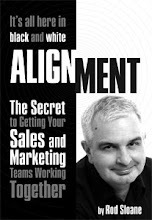 Sales and Marketing Alignment Blog from Rod Sloane: It's Friday and I feel good. It's Friday and I feel good. Therefore, I want this to be about you, not me. However it's kind of weird to write when it's about you and your business, not me. So here's what I want to say, How can I help you get your message out to clients and prospects today. How? Call me. Text me, AudioBoo me and I will help you. No obligation. No fee. Give it a try I want to help as I'm feeling particularly altruistic. In the meantime here's one of my AudioBoos to listen to. What have you sold today? Stop Trying to be Liked! Your Logo and Colour are NOT your marketing. How do you market and sell a commodity?